The concept of the ‘space to think’ has since long offered an argument to EU decision makers to limit the transparency of decision-making processes. 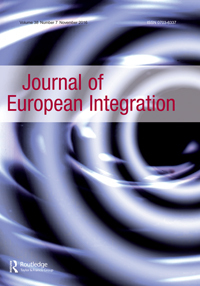 In a new article entitled “‘Integration without transparency’? Reliance on the space to think in the European Council and Council” published in the Journal of European Integration, Maarten Hillebrandt (Bielefeld University) and Stéphanie Novak (UC Lille) explore a tacit but common assumption underlying the EU’s reliance on the ‘space to think’: that it is caused and amplified by the dominance of executive actors. To justify the limited publicity of their sessions, members of the European Council and Council regularly argue that they require a ‘space to think’. The article analyses the relative success of the plea for this ‘space to think’ in both legislative (Council) and non-legislative (European Council and Council) modes of decision making. The authors consider the concept of the ‘space to think’ as well as the manner in which it is integrated into the theories of new intergovernmentalism and intergovernmental union. They aslo analyse how the European Council and Council have developed the ‘space to think’ in their daily practices. The article concludes that while the limited progress of transparency lends partial support to the new intergovernmentalism and intergovernmental union, the drivers underpinning the ‘space to think’ are not limited to non-legislative decision-making but are also increasingly found in the legislative procedure. The article can be accessed online (with an institutional subscription) here. This entry was posted on Friday, October 14th, 2016 at 2:07 pm	and is filed under Research. You can follow any responses to this entry through the RSS 2.0 feed. Responses are currently closed, but you can trackback from your own site.